I needed to make some last minute gifts to take away with us, we are going away to hubby's parents and family for Christmas. 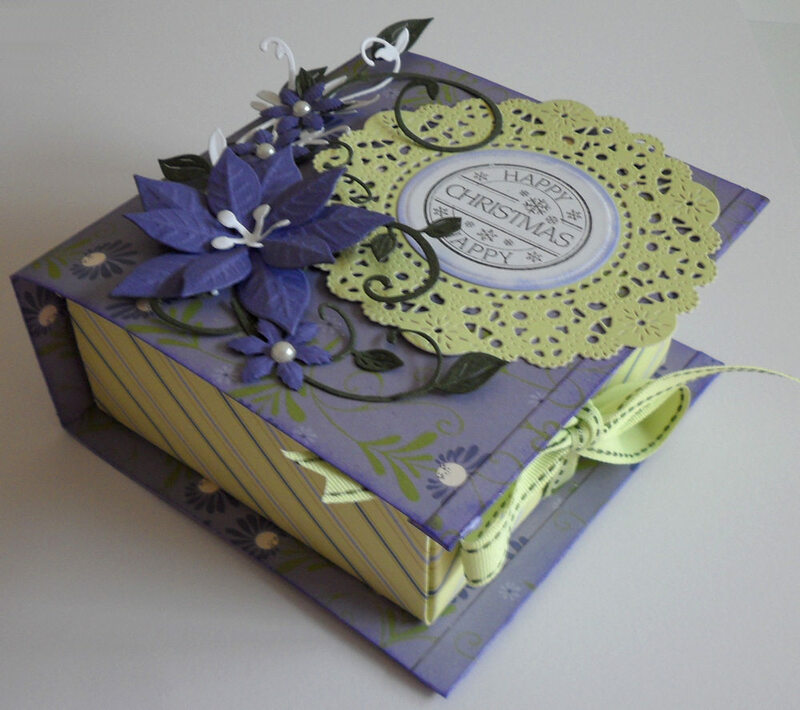 I decided on some origami folded gift boxes that will hold some chocolates everyone loves those right? I found a great You Tube video by Yani for these boxes they are so easy and quick to make. Even when you don't have double sided papers, I just folded and glued a 12 by 12 sheet in half wrong sides together for my box lids. 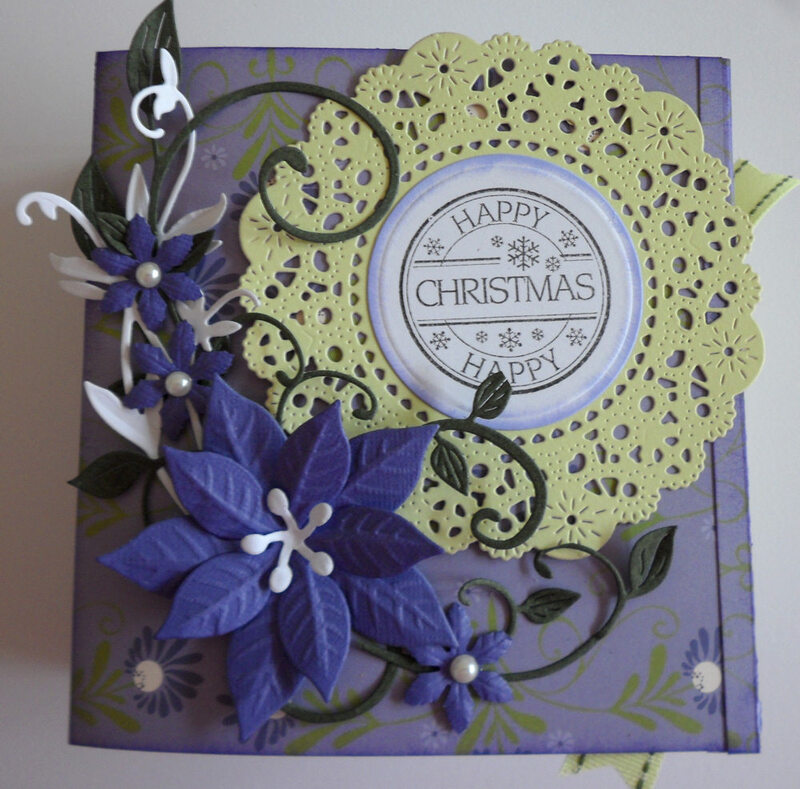 Cherry Lynn Doily Die and Fanciful Flourish Die. 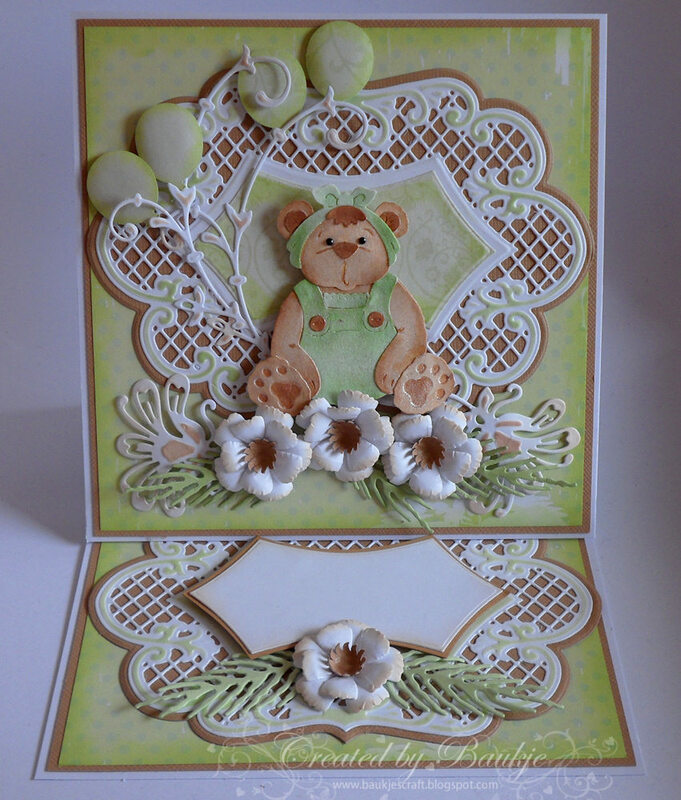 Memory Box Whimsy Circle Die. 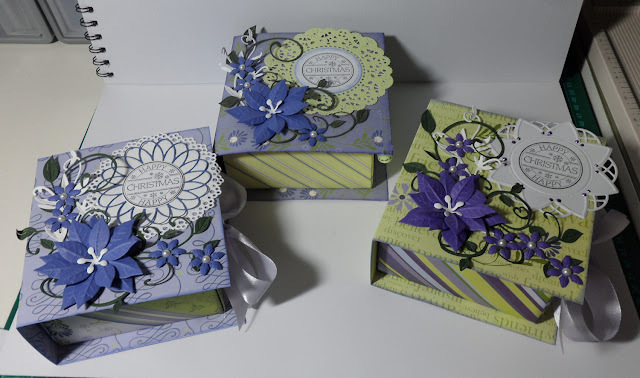 Here are the three I have made. Hello.......and Merry Christmas to you all. I like everyone else have been busy with Christmas preparations and Dr's appointments (for Husband), and not been very good at updating my blog. Below are a gift tag and two cards I have made using items you can purchase at FatCatsCardCorner, although Kaaren will be closed from the 20th until the 29th of December for the holidays. 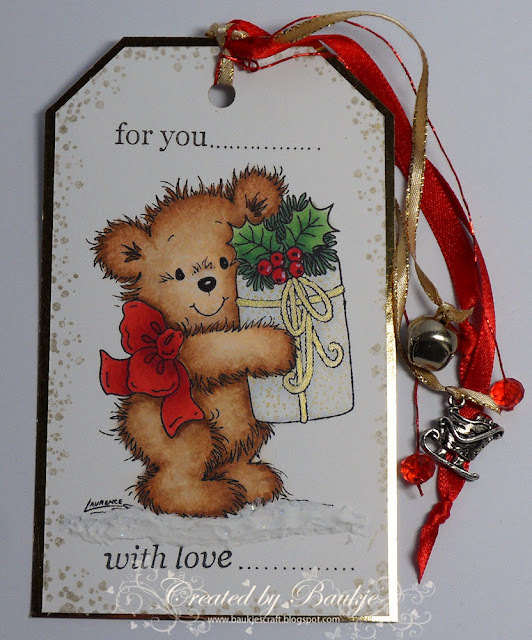 For the tag which I just cut out myself I have used the very cute Merry Bear Stampavie Clear UM Stamp and coloured it with copics. 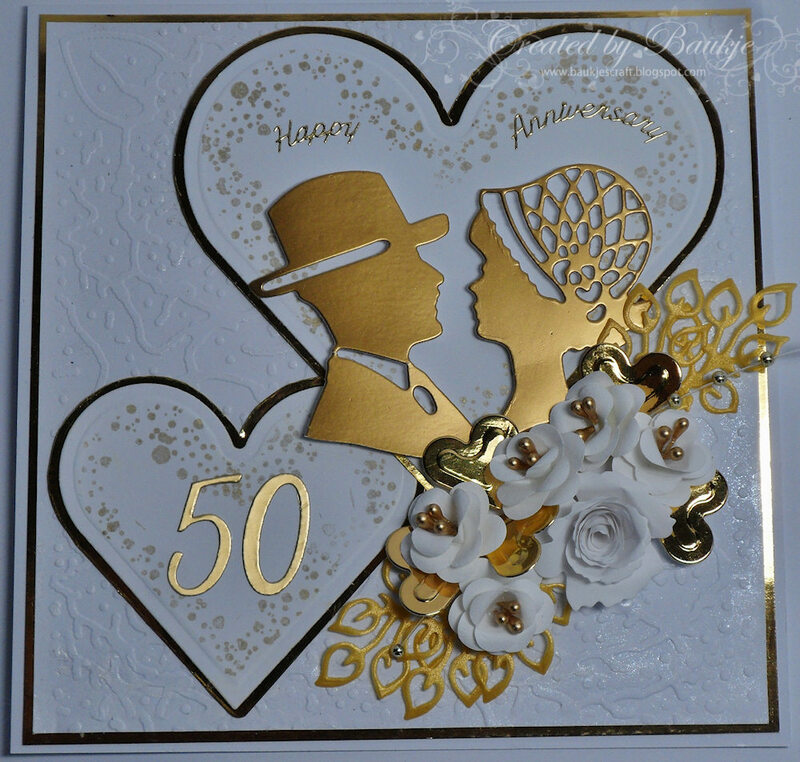 For this next card I have used Marianne Creatables Bike and Open book the leaves are the Cheery Lynn Flourish Leaf Strip Die and the stamp is from Mo's digital Pencil. This card I have created for a dear online friend who is celebrating her 50th Wedding anniversary on the 21st. The rolled rose is a Royal Rose Die Namics die and the smaller roses I made with the medium 6 petal vinca punch. the leaves are another Marianne Creatable die Anja's leaves 1. 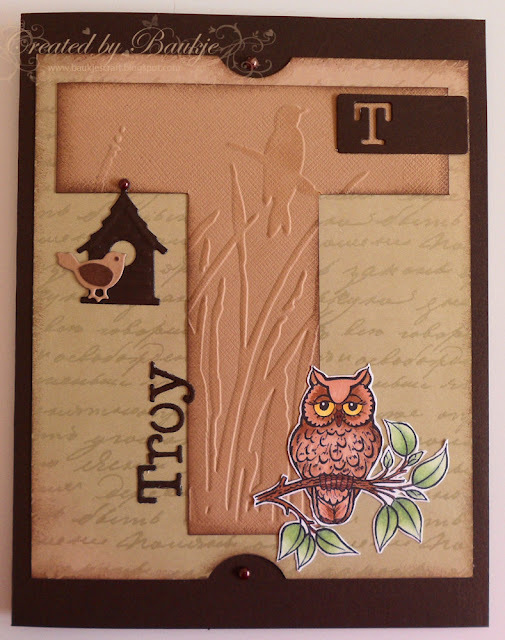 The background I embossed with a Fiskars Texture plate and sprayed with glimmer mist. 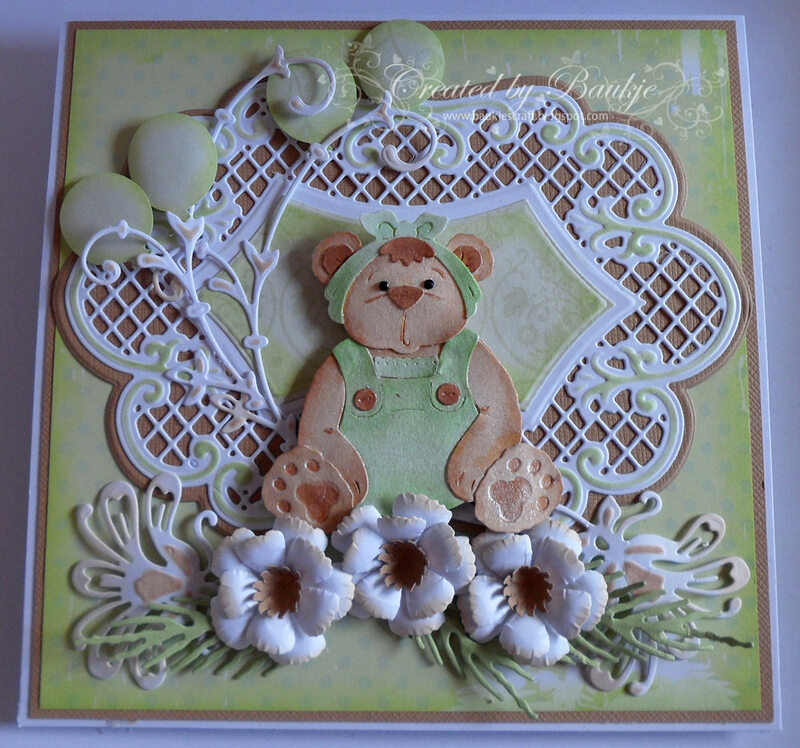 Romper Bear is a Cottage Cutz die and I've coloured all the different bits with copics and layered them up, I then sprayed it with Glimmer Mist. I cannot believe that our son is about to have his 41st. Birthday.